It was another awesome year here at OFS. Our founder said so, remember? 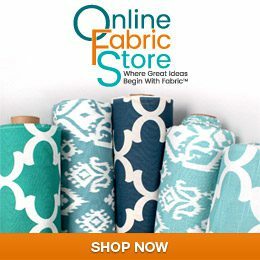 And we were so lucky to have worked with so many talented people across the US and Canada this year to bring you tutorials and decor inspiration that highlight the ways you can use OFS fabric and supplies to enhance your home, outdoor spaces and wardrobe. Let’s look back at a few of our faves before we ring in the creativity of 2015! Treasure Island-Inspired Decor by Lindsay of White Buffalo Styling Co.
Privacy Screen Make-over by Sarah of While They Snooze. Definitely Serena! Happy New Year! some really gorgeous fabrics on the projects!! nice! !